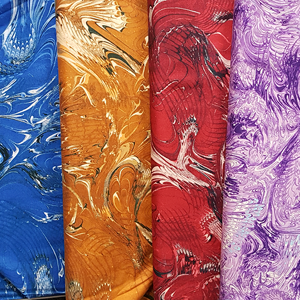 Here are just a few of the many custom quilts that Nancy has created over the years. 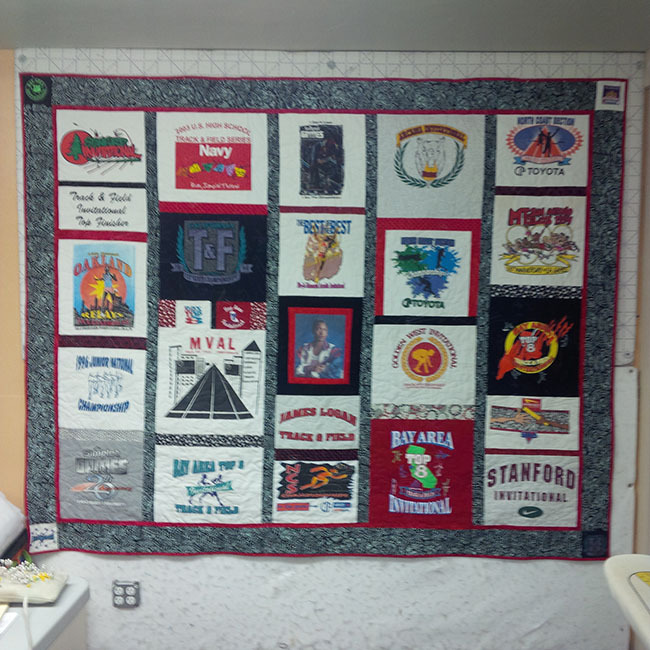 This is our latest t-shirt quilt project that we completed. Our client had collected the shirts from her daughter’s years of athletic achievements and is giving it to her as a special reminder of what she accomplished in the track and field arena. This quilt was brought to us in individual blocks that had been hand quilted by a family member. 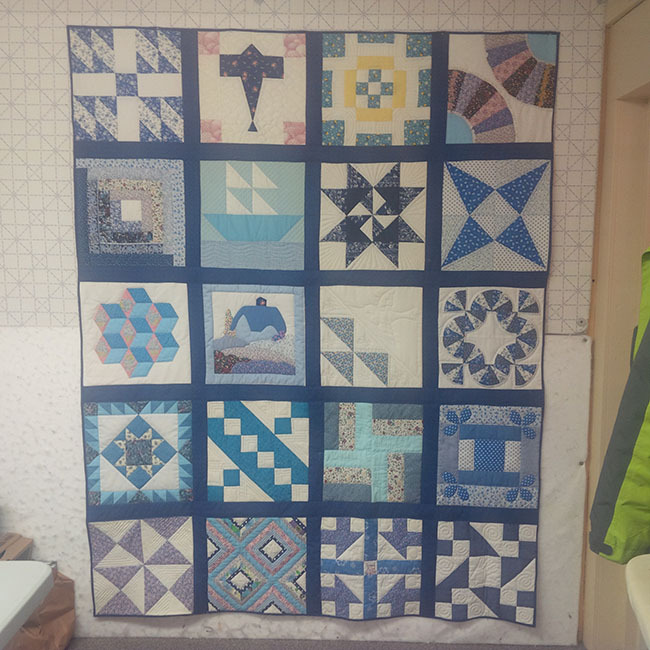 Our client wanted the blocks put together into a quilt to give to her daughter in memory of the quilter. The quilting stitches were small and even. The quilter designed a different quilting pattern for each block and I was amazed at her creativity. I put the quilt together in a “quilt-as-you-go” method. I added the sashing strips to hide the seams and on the back I hand finished the back of the blocks. I added a little hand quilting to the Drunkard’s Path block as that block was one of 2 that hadn’t been quilted.